I have come to realize that there are certain films which find its audience. These films are made only because they could find these privileged youngsters and shakeup their glossy, hippie world and introduce a little perspective. 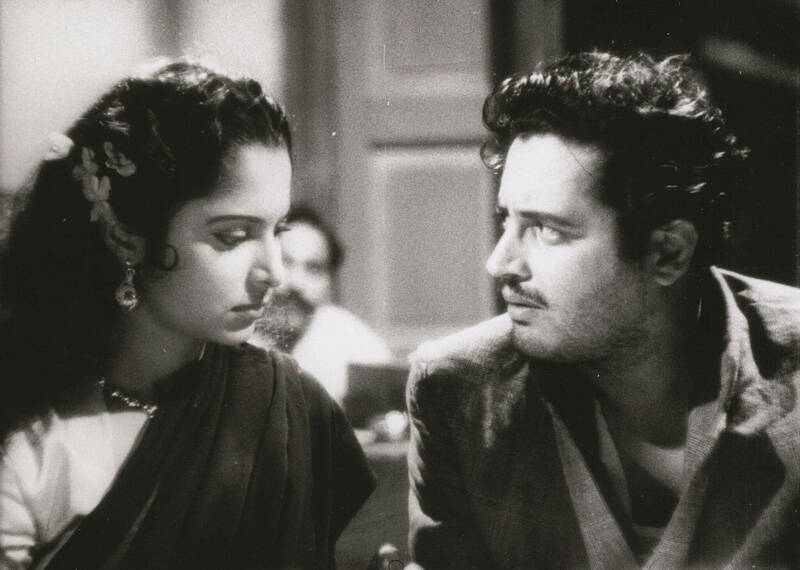 Pyaasa, is one such piece, to create which, the universe conspired and allowed things to happen, so that a film called Pyaasa could be made one day, by a certain, Guru Dutt. 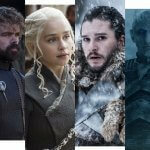 I have dared to write about my views on the film. This appreciation article, is a result of an enriching conversation I had with a dear cinephile, Niraj, who himself has been a significant contributor to FilmSpell, with some of its best articles like, the review of Following and Hitchcock’s Top 10. 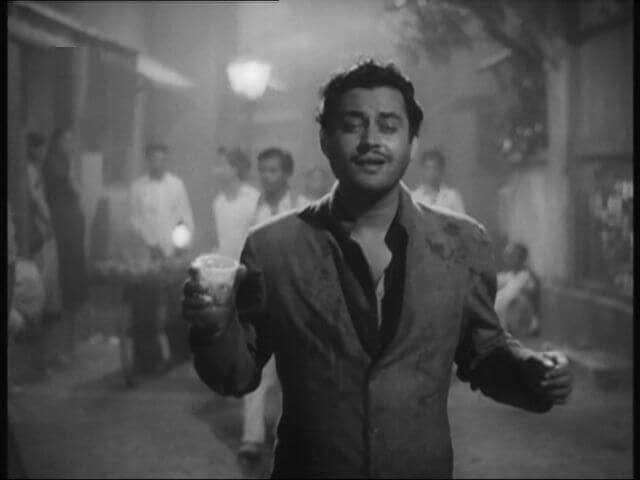 If there is one indelible image in my head, of this stunningly shot film, it is that of Guru Dutt’s frown, as he looks at an audience in a college reunion, who want him to sing a Jolly song, suiting the occasion. Even if I had not seen the movie until that point and just seen a shot of his face, I would exactly feel the sorrow he was shouldering, such is the acting prowess that is at display. A slight twich of the brow or a subtle movement of a facial muscle, conveys the cancerous agony growing inside him. 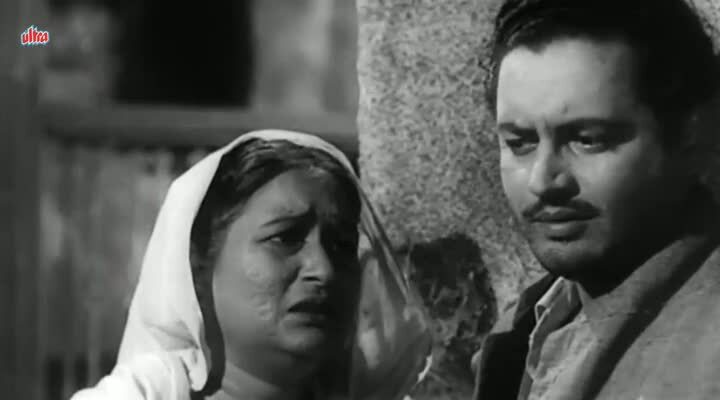 Pyaasa is a story about a poet, told with distinct cinematic poetry, composed by Guru Dutt. With a mesmeric mix of scenes and songs, the screenplay is both informative and intimate. The story moves forward, characters are introduced, as you, unwittingly, have surrendered to Vijay’s pain. Look how two of the most important characters are introduced through songs – Johnny Walker and Waheeda Rahman. The press owner insults Vijay’s poetry and he walks out in anger. He goes home and the brothers ridicule him and throw him out of the house and then we get the wonderfully melodic, Jane kya tune kahi and we are introduced to Gulaboo( Waheeda Rahman). This is where we see the seamless integration of screenplay and songs. Look how much this one song achieves. Both scenes before this song, we see Vijay, being insulted and shoed away by his brothers and the press owner. But now, through the song, it is visually conveyed that this is a woman who accepts him and not only does she embrace his poetry but also sings it as a song. By the end of this 5 minute long song, the film has established several aspects of the story. Gulaboo accepts this rejected poet, she loves his poetry and she has the poetry files Vijay is looking for. Only by the way Vijay follows her, you know she’s singing his song. Another character introduced through a song is Sattar (Johnny Walker). Again, by the end of the song, we get to know that he is singing Vijay’s poem as a song, establishing his love and admiration for him. The most crucial scene of the film is the scene in the railway station, with the beggar and Vijay. By this point, we witness Vijay’s, already, sorrowful life, spiralling down rapidly, as he loses his job, his mother and comes face to face with the conspicuous destitute of the nation. He goes to a Railway station, sees a beggar shivering in cold and gives him his coat to cover himself. The beggar follows him onto the tracks and his foot gets stuck between the tracks, Vijay runs to save him, the train approaches and cut! Although this sequence fits into the story perfectly, the philosophical or metaphorical approach comes through only in the climax when, Vijay says, addressing the audience in the hall, ” Mai vo Vijay nahi hun “. The shivering beggar was a metaphor for Vijay’s distressed poetic soul that tried hard to live along in a hostile society. Now, the actual Vijay is dead, he died on the railway tracks, the Vijay standing here is but a physical form of that dilapidated spirit. 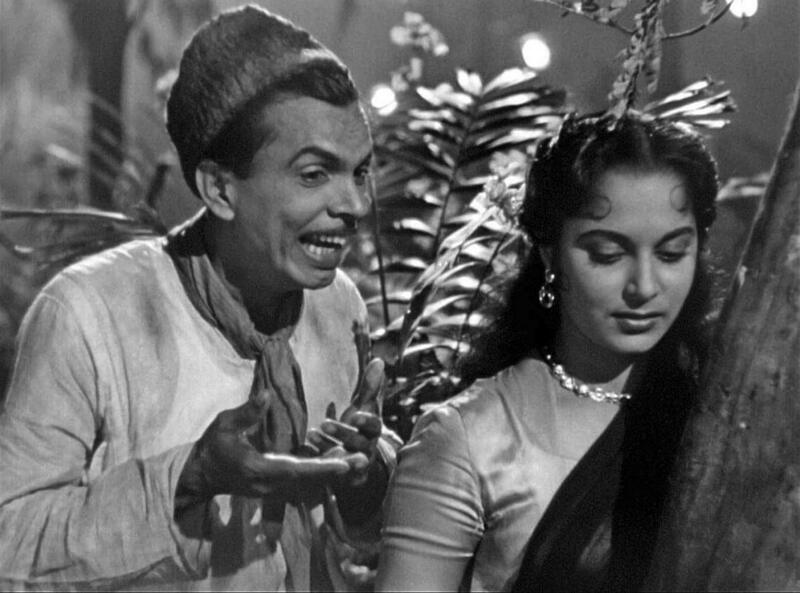 Of the many relevant-to-today themes Pyaasa addresses, the conflict of what sells and what doesn’t is the most debated aspect of the movie industry today. In an early scene, a press owner remarks how Vijay’s poems are colourless, often about unemployment and destitute and not the kind that’s popular; flowers, women and the more attractive poetry, as opposed to his reflective poetry. Reflective of the times, of the political climate of the evil in the society. This perfectly fits into today’s conflict of content vs commerce. The film starts with Vijay, leisuring in a garden, marveling at the beauty of the nature. A nector drinking butterfly lands on the grass and a faceless man stamps it. By the end of the film, we see a similar situation, where Vijay is in the middle of a stampede by many faceless people. This Symmetry adds the perfect amount of flair to the otherwise philosophical storytelling. Guru Dutt builds the mood of the songs with exquisitely designed and cut shots. Case in point is the below scene. Vijay is invited to the college reunion and is aksed to substitute for an absent Chief Guest, with his poetry. He walks on to the stage and is shocked to see the woman who rejected him, to marry a well settled man. He starts singing a melancholic song and an audience member reminds that this is a happy occasion. He continues to sing, as the camera becomes a carrier of these heartbreaking lyrics, from Vijay to the woman sobbing in the audience. The camera starts at Vijay’s close-up and slowly pans-out and then for the next line, the camera is now looking at the woman in the audience, from a distance and slowly zooms on to her face, ending it at a close-up, this happens for the next two lines, giving the song a conversational feel, which also, builds the backstory of their unrealised love and makes the pain palpable. At the last line of the song, as Vijay signs off, the camera this time, Zooms into his face, accentuating the pain he has bottled within him, as he walks away. 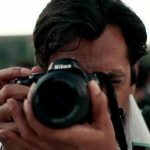 Only a director who understands music, can shoot a song so affectively as a scene. The best part about the above song is that, the story continues to move forward as the woman’s husband, sitting just behind, notices the indirect sullen exchanges between Vijay and her, adding another dimension within the same scene. There are multiple mythological references throughout the film. Two of the most significant ones are related to Hindu mythology and Christian. A major part of Ramayana is based on family dynamics between the mother and the brothers. Kaikeyi wants Bharat to be the king and sends Ram away on Vanvaas. 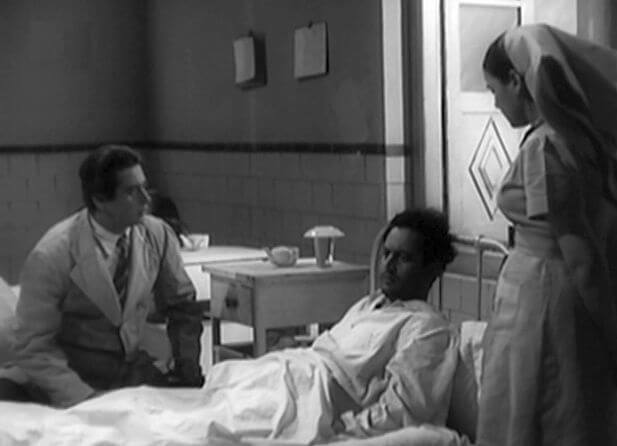 In the contemporary scenario, Guru Dutt adapts the outline of this dynamic and changes the details or character traits. Here, the mother is supportive of Vijay and the brothers carry a rueful attitude towards him, due to which he has to leave home (Vanvaas). There is also a Hanuman like character here; Johnny Walker’s character Sattar has a sense of loyalty towards Vijay, like Hanuman has for Ram. In a scene, he comes to the rescue of Gulaboo, as a man tries to force her into accepting the offer by the man in the car. There is an uncanny similarity between the relationship Gulaboo and Sattar share in this scene and the relationship of Hanuman and Sita, that of loyalty and complete service to protect her pride. We see both these characters singing songs of Vijay or songs written by Vijay, like Sita and Hanuman would sing for Lord Ram. The only difference being these are songs written by Vijay but the similarity is solid. In the song ‘ Jane Kaise log the ‘, Vijay is standing near a book shelf, with both his arms spread out and a similar frame at the end, when he enters the hall where his Death anniversary is held, he stands at the door, with both his hands stretched out and the light hitting from behind, we see his siluohete. Both these frames are similar to the Crucifixion position of Jesus Christ, to justify this theory, we also see a magazine with Jesus’s photograph on it, in the crucifixion position. Another poetic reference to Jesus Christ is the resurrection part. Although Vijay does not technically resurrect, he is believed to be dead but comes back alive, a nod to Jesus’s resurrection after the crucifixion. But what is Guru Dutt trying to convey through these mythological references. Is he trying to say Vijay is God? Could it all be a coincidence and he never intended to do so. It could well be. However, considering his great mind, one would not hesitate to conjure a theory, aided by sensible support that he intended something big, a more universal idea that he wanted to communicate. Once the poems become famous and the publisher gains Knowledge about Vijay being alive, he tries everything to keep it a secret and blows air to the news of his death and confirms that the man is not Vijay. When Vijay shows up at his own Death anniversary, the primary conflict of the third act becomes about Vijay’s identity and the focus on his work or appreciation or even acknowledgement of the poems written, completely vanishes. Hence, Guru Dutt with the reference of Gods, could be trying to point at our ignorance as a race, when we turn a blind eye to what God ( Vijay here )has suggested to us through his transcripts ( Poems here ). The wars we wage, the hatred we harbour, the discrimination we display in the name of Ram, Allah and Jesus, without for a minute, realizing what they stand for, what they communicated to us through the scriptures. 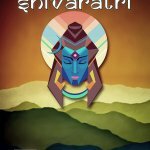 The entire human kind is in the race to know the identity of the creator(Vijay), instead of acknowledging his creation(Poems).